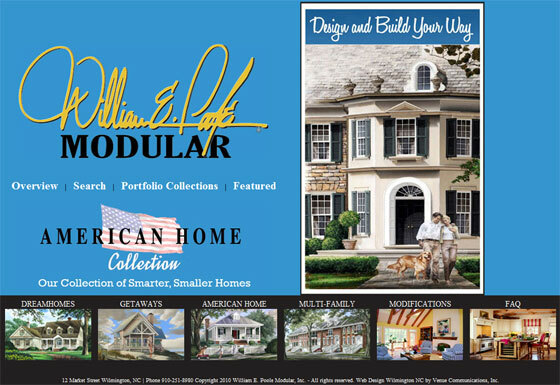 Renowned architect William E. Poole and Venue Communications launched a site focusing on his modular home designs today. The site features several image sliders, a database of home plans, pricing forms and ecommerce. The design is modeled from his main website, William Poole Designs.